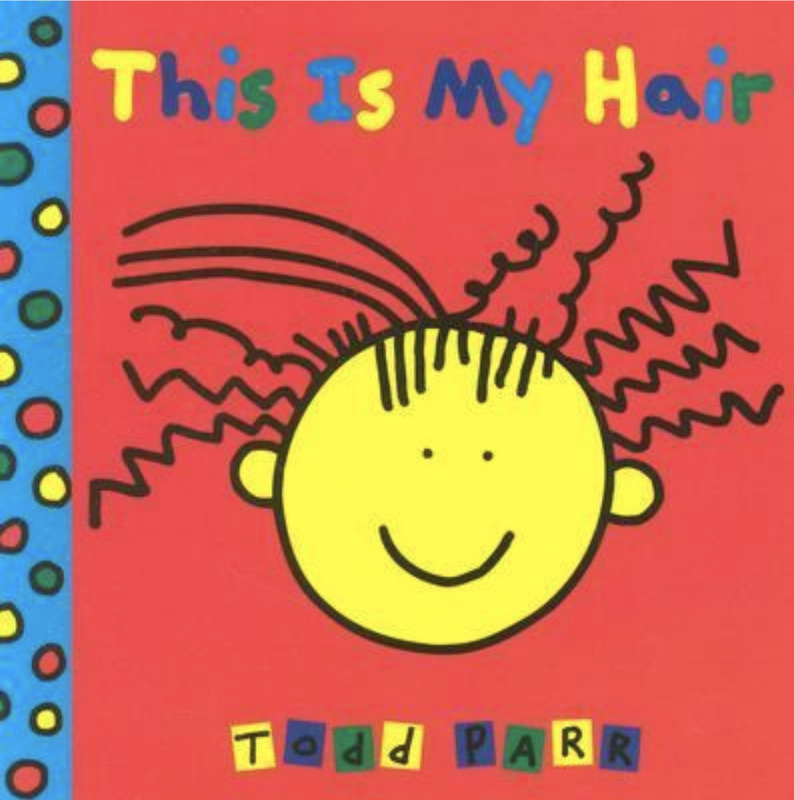 I was reading Ben a book the other night, This Is My Hair by Todd Parr. I totally related to the cover girl who was modeling how hair looks like when you wake up, because it was pretty much how my curly hair looks in the morning. It's always a thrill to see people like you reflected in books, plays, movie, TV shows, catalogs, commercials, wherever. This is a natural response—it feels good to be acknowledged. Which is one reason why it's important for children with disabilities to see people who look and act like them in media. Another is that they deserve to grow up feeling like they are as much a part of society as any person is. 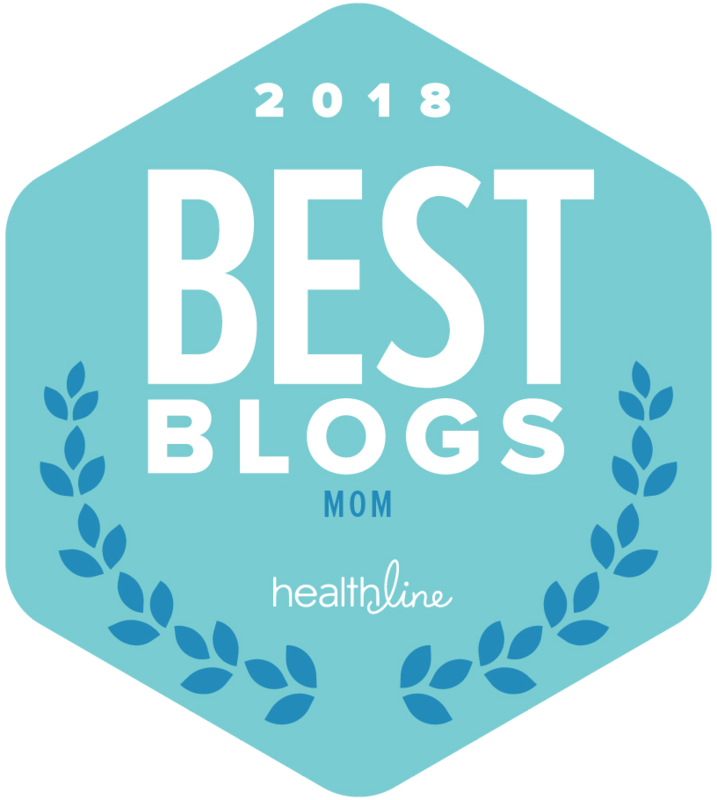 Unfortunately, inclusion is not always the norma, which you well know if you are the parent of a child with disabilities. 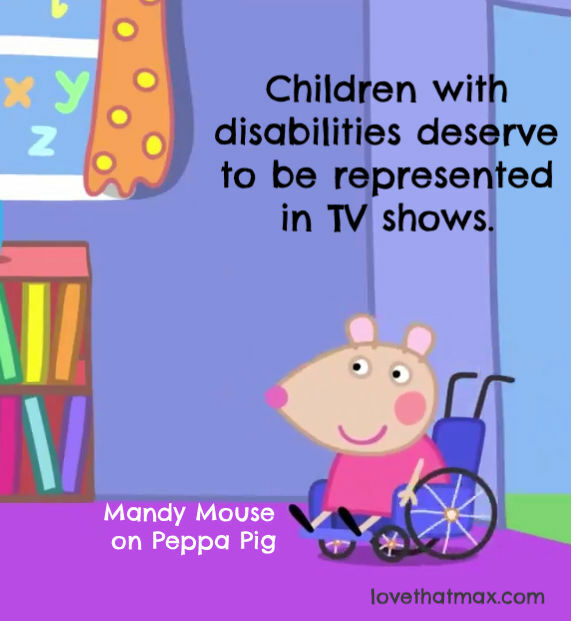 All this is why the recent announcement of a new character on the cartoon Peppa Pig generated a lot of buzz—Mandy Mouse, who uses a wheelchair. I don't know much about the show, except that it features cute animal characters who speak in British accents and that for several years, my niece Margo was obsessed with them. Announcements like this are a big deal because characters with disabilities are still a rarity—even more so when they're just one of the gang, as Mandy Mouse seems to be, and their disabilities are not the theme of the show (as in, say, the brilliant sitcom Speechless). I can name currentcharacters on one hand: Sesame Street, which celebrated its 50th anniversary this year, introduced a muppet with autism, Julia, just two years ago. DuckTales on Disney just ran an episode featuring Della Duck, an amputee .Last fall an IT entrepreneur with cerebral palsy debuted a superhero with CP. "I could cry!" said one mom on Twitter in reaction to the new Peppa Pig character. 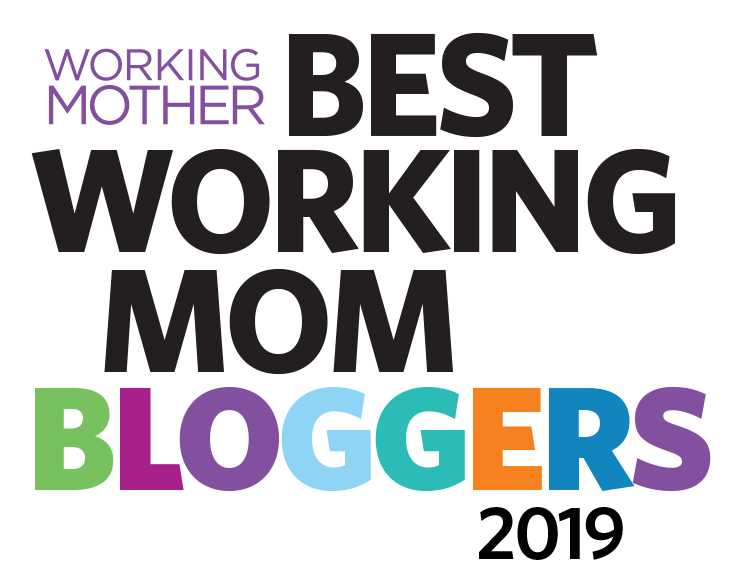 "My daughter loves Peppa and has a neuromuscular disorder. This is a game changer. Thank you!!!!" "I think it's great they are including a character with a wheelchair on Peppa Pig," says Nicolas Noblitt, a 12-year-old actor who's appeared on Speechless. "It's important to remember there are lots of people in the world with disabilities. Many of them use a wheelchair like me. Inclusion means to not leave people out. It's good a cartoon can teach kids about this." In an effort to showcase more people with disabilities in film, the Easterseals folks recently ran a weekend-long Disability Film Challenge. Teams made up of filmmakers were encourage to create storylines that acknowledged disability and included at least one person with a physical or cognitive disability. Nicolas appeared in a short film called Party Time by director Alexandria Cree. Watch the film here and share it—the filmmakers still gets points for social shares!—and tag @disabilityfilm challenge. My niece is really into the new character on Peppa Peg. 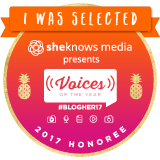 "Mandy will teach kids that even if she seems different, she is still a kid like they are," she told me. 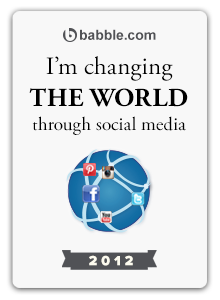 So, yep, this is progress. And there will be even more progress when more children's media features characters with disabilities. And there will be even more progress when there's not just one character with disabilities on a show but a couple of them. Actually, a few of them. And there will be yet more progress when the day comes that I am no longer sitting here writing about characters with disability in the media because it's not a big deal—it's the norm. Mary Lou, thank you for the reminder of Julie's Greenroom. I think it might appeal to much of the same audience as Peppa Pig. And on my Netflix list also, Andrew.